July is here which means one thing: Nordstrom’s Anniversary Sale! This is an exciting time for many Nordstrom shoppers and honestly, this sale is my biggest shopping splurge every year. Let’s dive into what this sale is and why it’s so legendary. 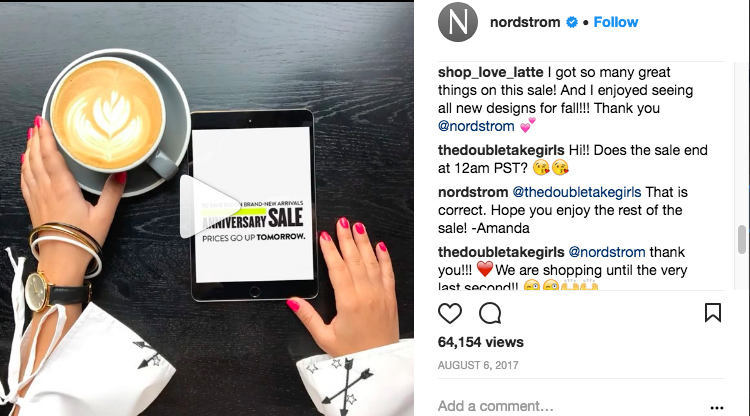 What: Nordstrom offers an Anniversary Sale once per year that allows their customers to shop exclusive items from their fall/winter season which includes accessories, products and even designer items. Yes, you read that correctly: designer items are included in this sale. Thursday, July 12: Online access to the Anniversary sale is open to Nordstrom card holders at any level starting at 12:01 AM PST. Being loyal has it’s perks and in this instance, this perk is major considering the best items will sell out or be low in stock after this week has passed. They do restock some items, but not as much. Friday, July 20: The sale is officially open to the public, meaning you do not have to be a Nordstrom card holder to shop the sale online (12:01 AM PST) or in stores during regular hours. Sunday, August 5: This is the last day to shop the sale whether you are a cardholder or not. Stores will operate with normal business hours on that Sunday and according to an Instagram post from last year, the sale ends at 11:59 PM PST if shopping online. 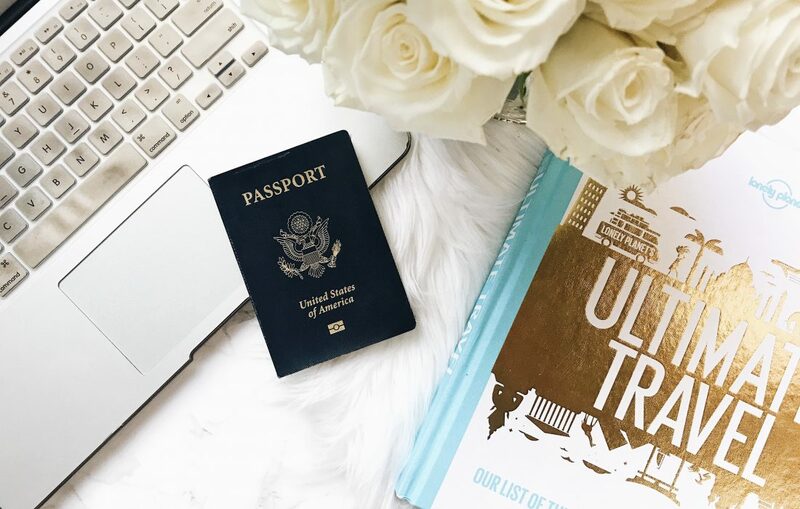 Which means you’ll still be able to enjoy a Sunday Funday and avoid any FOMO by adding last minute must-have’s to your cart before bed. After this date, all items will be marked to their regular price. I know, when you hear ‘Nordstrom Card holder,’ you automatically think credit card which several people are not a fan of – and understandably so. If you would like, you can apply to be a Nordstrom credit card holder which offers two options: either an exclusive Nordstrom card holder, meaning you cannot use the CC outside of the store OR you can be a Nordstrom Visa cardholder which offers in-store and out-of-store rewards. Not a fan of opening a credit line? No problem! And honestly, that’s a great decision to make in order to have a good handle on your personal finances and avoid buying frivilously. Nordstrom understands not everyone wants to open a credit card which is why they also offer a Nordstrom debit card that is linked directly to your checking account. It operates the same way as a debit card, but it can only be used at the retailer and their affiliates. Outside of early access to the Anniversary Sale, Nordstrom credit or debit card holders also earn 2 points for every dollar which add up to Nordstrom Notes ($20 per every 2,000 points), have access to triple points dates and the card can be used at Nordstrom Rack, Haute Look, Trunk Club and in-store cafes. I’m not a big in-store shopper during sales. I do appreciate how organized Nordstrom stores are and how amazing their customer service is, I just don’t do well with a whole bunch of people during a major sale. Therefore, I do majority of my shopping online and then if I have some time to walk through the store with no rush or no need for a specific item, I may do that. There are some items you will see in store that will not be online and vice-versa but that’s just part of the retail world and I’m personally okay with that. Because card holder early access is available so early online vs the store, the most efficient way to start is through their website so I’ve offered my tips below. Purchase with purpose: I love shopping and I can appreciate anyone else who also loves to shop but my goal is not to get you to open up a credit card and buy everything because it’s on sale. 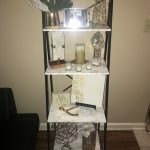 This blog post is to best prepare you for what I consider one of the biggest savings opportunities for items you would have most likely already purchased or have had your eye on but wanted to wait for the perfect time to purchase. While this sale will include summer items, the major deal here is that it includes the upcoming fall/winter season. So my suggestion is to go through your closet and figure out what you need – outerwear, sweaters, jeans, trousers, boots, etc. Whatever it is, make a list. Also utilize this time to look at what items in your closet can be donated or gifted to someone who may need them. Make note of what you want: While Nordstrom has an online catalog showcasing some items, they don’t show everything that will be in the sale. Sooo.. I like to ‘save items’ in my cart that I want and when the sale hits, I go to my account and add the applicable items to my cart. FYI – if you are not a card holder, it will not apply the sale discount before the 20th. But if you are, it’s an easier way to check out once the sale is officially live. As a card holder with early access, I urge you to get online as soon as it’s available and do this as well as save your card and shipping information in your account for a more seamless checkout. Please note, you will need to enter the CVC code on the back of your card even if your information is saved. Multiple Transactions: Another step I found useful is to proceed with checking out even if you’re not done looking. I’ve been in a position where items I had in my cart were sold out either in my size or completely out of stock by the time I went to check out. To avoid this, I now end up with multiple orders – some transactions may have several items while others may simply have one item that was noted as low in stock on their site. Also, Nordstrom offers free regular shipping so you’re not racking the shipping costs unless you select rush or expedited shipping. Return Policy: If you have access to a Nordstrom and are unsure of your sizing I would go to the store and try on several pieces. If you’re unsure of your shade in a product you’re interested in, I suggest you go to the store and check them out. It doesn’t hurt to ask questions, try on a pair of jeans or even test out some makeup and/or scents. This is part of being prepared. I do want to note, one of the most amazing things about this sale is that it is not final. Therefore, if something doesn’t fit or if the foundation you purchased doesn’t match, you can still return those items either through the mail (with free return shipping) or you can bring it to the store. And you will always receive email confirmation of each return you make. For example, sometimes I’ll purchase two of one shirt because I’m unsure if the arms will be long enough, so once I receive the order, I try them on and return the one that doesn’t work. This way I’m not missing out if could have used a different size instead. This is also why it could be a huge win to visit a brick-and-mortar because those returned items will be placed back on the sales rack but won’t necessarily be made available again online if it’s already sold out on the site. 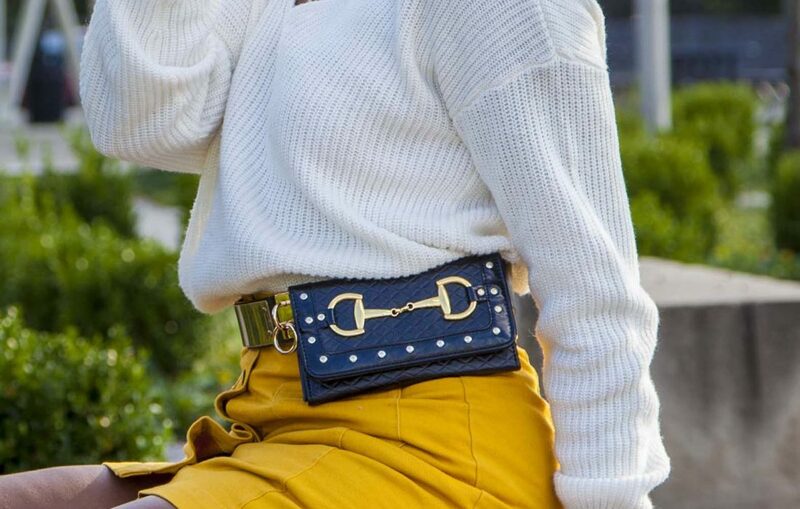 Don’t be selfish: Nordstrom is an aggregate for so many brands as well as products at a variety of price ranges so use this as an opportunity to grab some ‘just because’ gifts for friends, family or your significant other. They sell clothes, shoes and accessories for the entire family as well as cute home decoratives and random lifestyle items. If you really wanted, you could probably use this as a time to shop for Christmas as well 🙂 This tip also ties in with shopping with a purpose. If you don’t actually want something or care for it, don’t purchase it just because with the full intention to simply return it. There are only so many quantities of each item and if it’s not something you would actually wear, keep it out of your cart so someone who may be looking for that item can purchase it. If you are already a card member and have a triple points day, use it on the day you plan to make your biggest transaction(s). You receive 6 points for every dollar spent throughout the entire day whether in store or online and this applies towards Nordstrom Rack transactions as well! SIX POINTS. If your Nordstrom Notes don’t expire before the sale, save them for the sale! 🙂 I have a few notes I’ve been saving up for this moment and am ready to finally apply them. I hope you’ve found this post helpful and if you have any questions please leave a comment and I’ll be sure to answer! I’ll blog about the pieces as I receive them so keep an eye out for that soon.